I am all over the Instant Pot recipes lately, right? 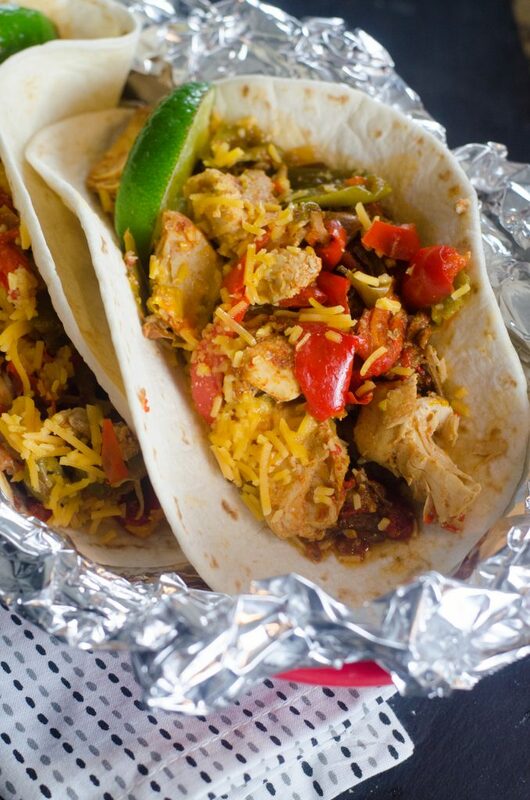 And, these chicken fajitas are another one of those awesome pressure cooker recipes that you’ll want to add to your list! 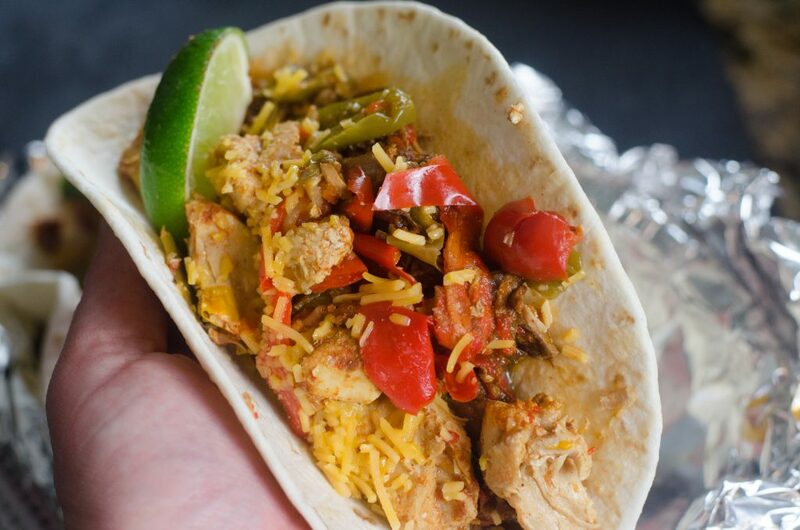 These Instant Pot chicken fajitas are so simple, and so, so good! Check out the ingredient list, you might even have everything in your pantry right now! 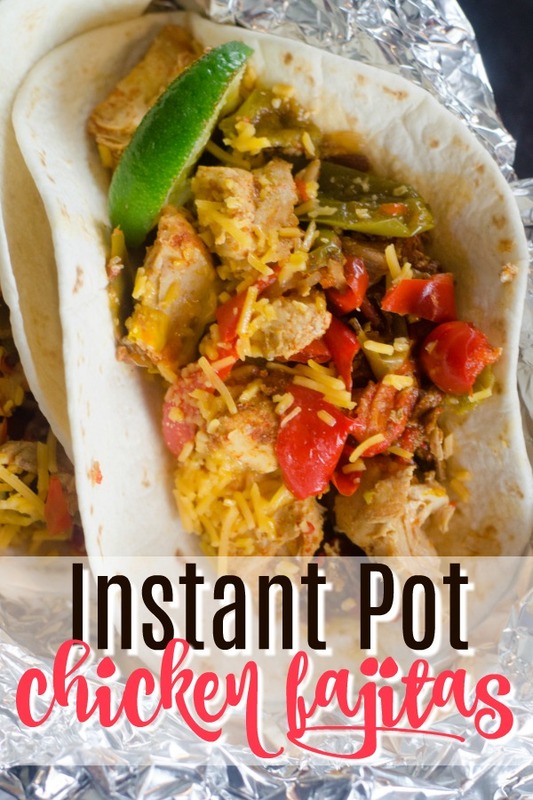 I have been on a serious Instant Pot kick! And, that’s not all bad, but it’s not for good reason, if I’m honest. My mom is undergoing treatment for stage 4 cancer, and my grandma just fell and broke her hip. So, in a necessity to get easy dinners and healthy dinner options on the table in record time, I’ve resorted to using our electric pressure cooker more often than ever. It’s been a living nightmare to be honest, but the upside, is that we live in a world where I can make a hearty chicken dinner in 15 minutes. That is amazing, wouldn’t you agree? So, I want to share with you this pressure cooker dinner that has saved the dinner time struggle for me several times. What Size Instant Pot Should I Purchase? First things first, one of the questions I get asked often is which Instant Pot do I need for my family. There are really three sizes of Instant Pots. There is the 3 Quart Instant Pot, the 6 quart Instant Pot and the 8 quart Instant Pot. For 1-3 people, a great Instant Pot option for your family is the 3 Quart Instant Pot. This fits just enough for a few people. If you have 4-5 people, I would suggest moving up to the 6 Quart Instant Pot. Or, if you have 3 people in your family, but let’s say you like to take leftovers for lunch. Then, then 6 Quart pressure cooker is the best option for you. If you are feeding 6-8 people, definitely go with the 8 Quart size of Instant Pot, as that’s going to feed the most people. If you’re cooking for more people than that, I would recommend that you stick with oven baking, or the crock pot. If you try to stuff too much or substance into the Instant Pot, you may not see great results and could have quite the mess to clean up. This is probably also a good time to mention that you don’t necessarily need the Instant Pot brand of pressure cooker. Cuisinart makes a great pressure cooker, and there are also off brands of pressure cookers like the ones here that are good as well. The Instant Pot just has buttons that are pretty universal when you’re looking for pressure cooker recipes, so you’ll find that a lot of the recipes are Instant Pot specific dinner recipes. 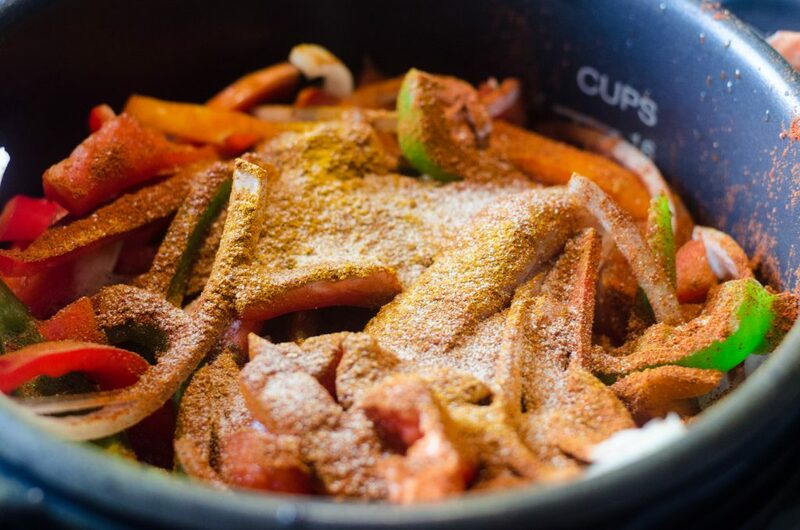 Anyhow, on to the Instant Pot chicken fajita recipe that my family just loves! 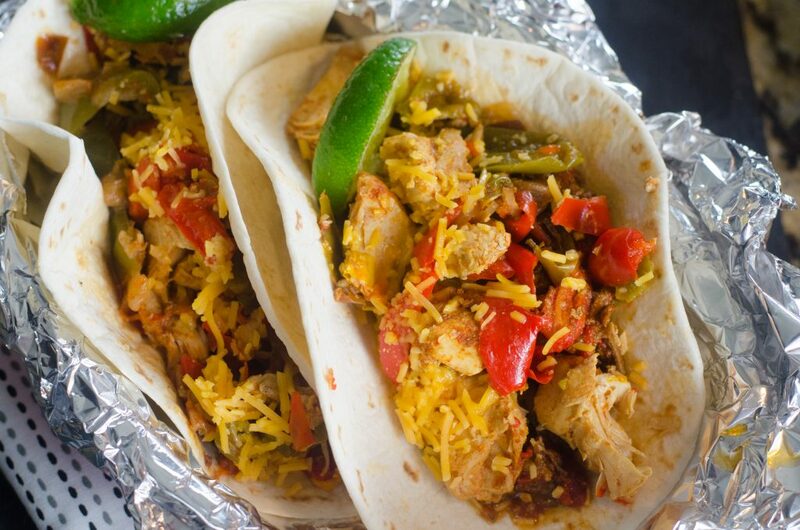 If I’m honest, I could totally do with vegetarian fajitas. 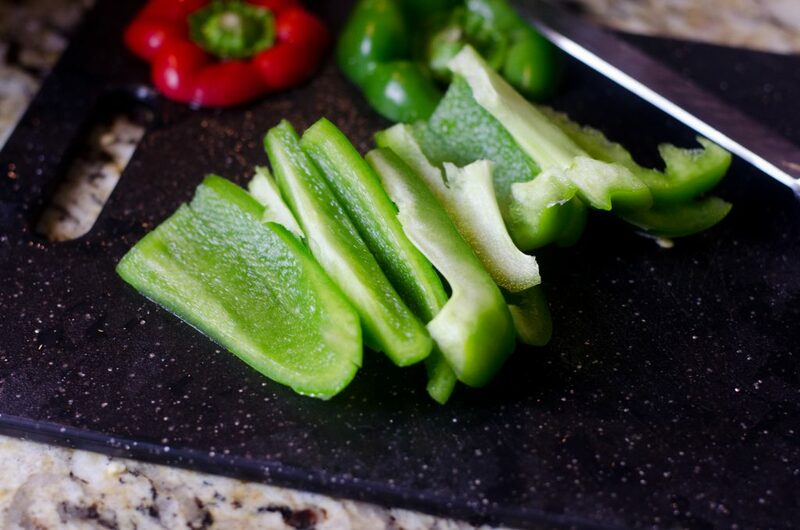 The veggies are by far my favorite part – but the toppings – the toppings are the best part, aren’t they?! Guys, this is literally a chop, dump and go recipe. And, if you buy your chicken strips in the tenders size where they’re already cut into strips, that will make things even easier for you. 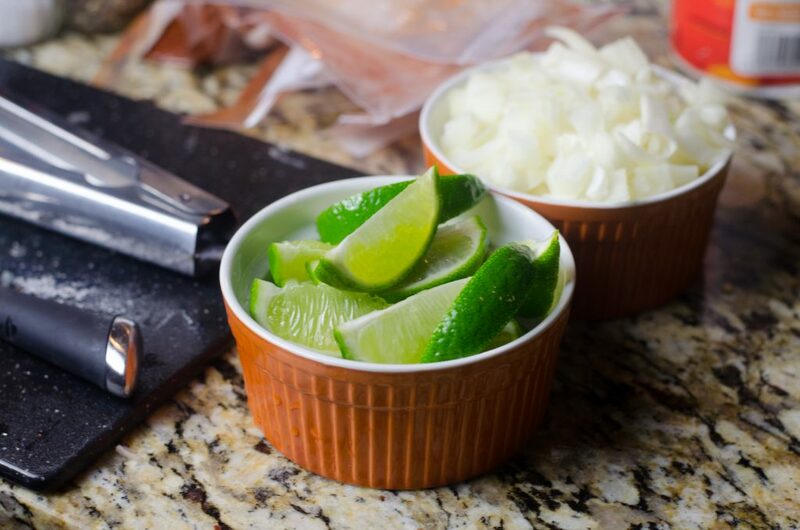 Before you close the lid, look at what you’ll see … these are going to be so good, I can guarantee that! 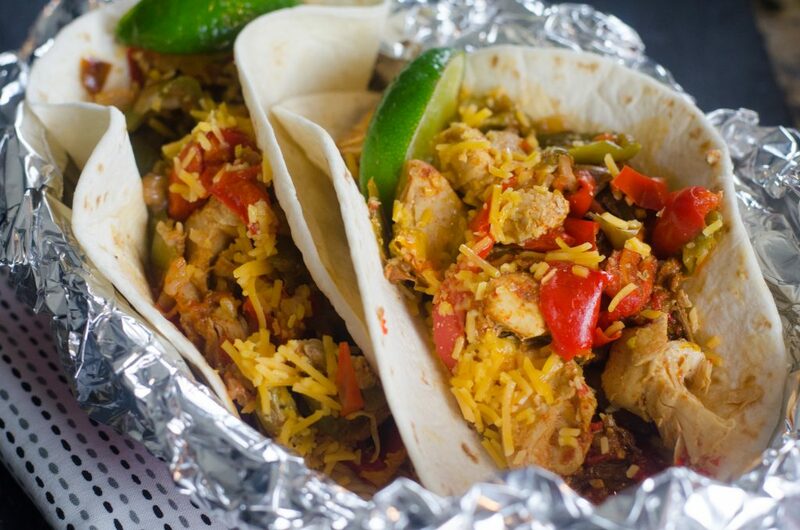 And, don’t these chicken fajitas look amazing?! 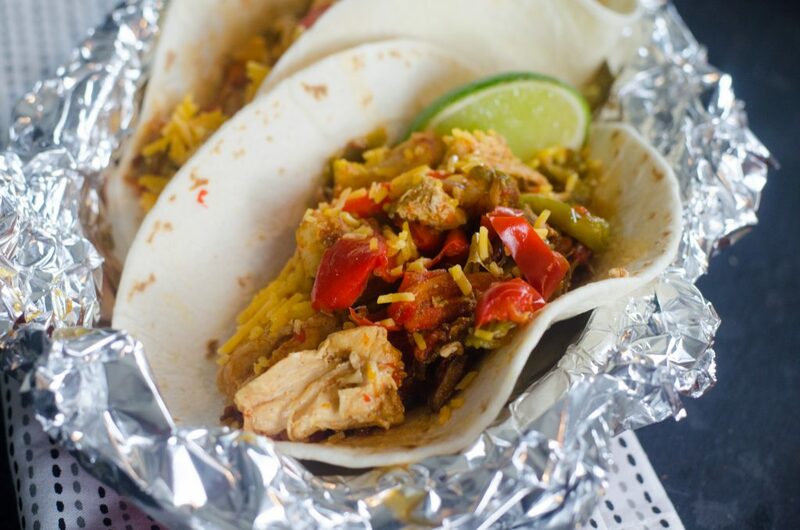 Well, I hope that your family loves this recipe as much as mine does – we are HUGE fans of this recipe and it’s a go to Instant Pot Chicken recipe for our busiest nights! 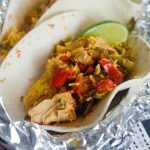 These Instant Pot Chicken Fajitas are one of my favorite pressure cooker recipes! 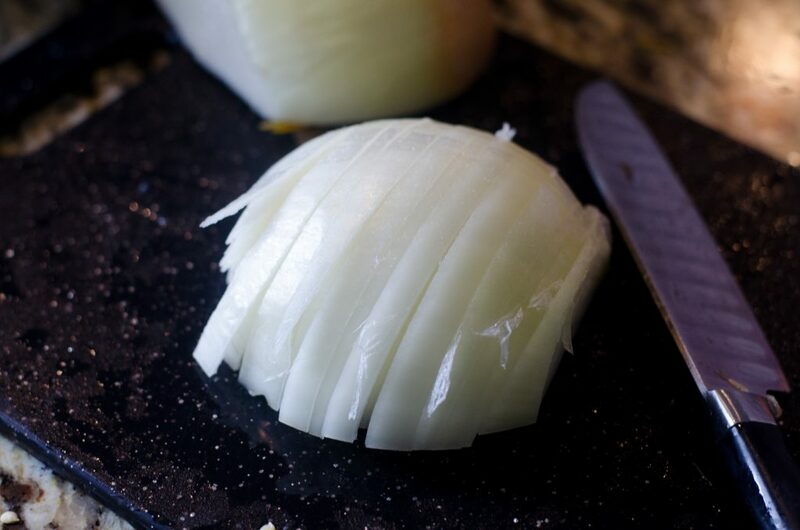 This is an easy Instant Pot recipe that can even be prepared ahead of time, and set into the pressure cooker to prepare when you're ready. Kids love these too! 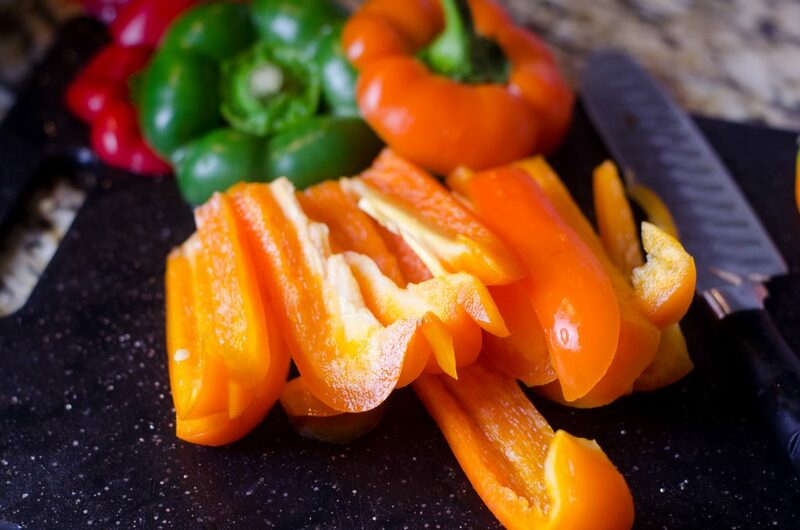 Slice bell peppers and onion. 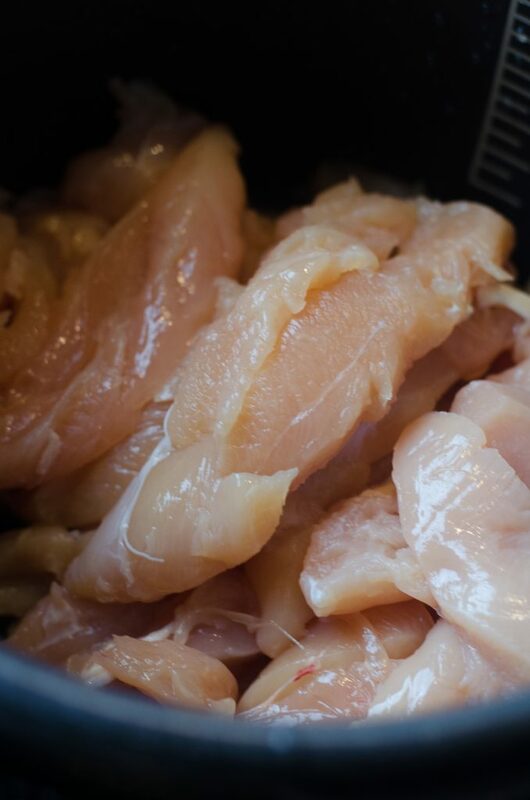 Place chicken in the instant pot or pressure cooker. 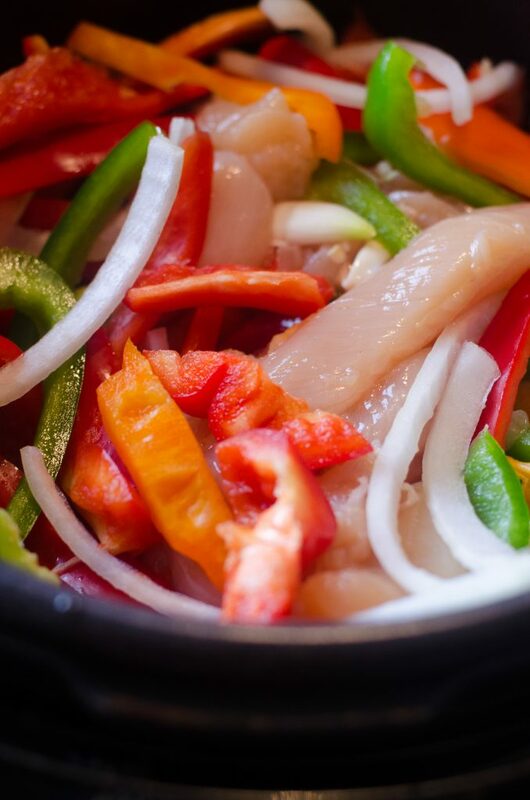 Add bell peppers and onion, and toss. Top with half of the spices and toss again. Set pressure to high pressure. Release pressure using the quick release method but flipping the switch to the "venting" position until the metal "pin" sinks down into the lid. 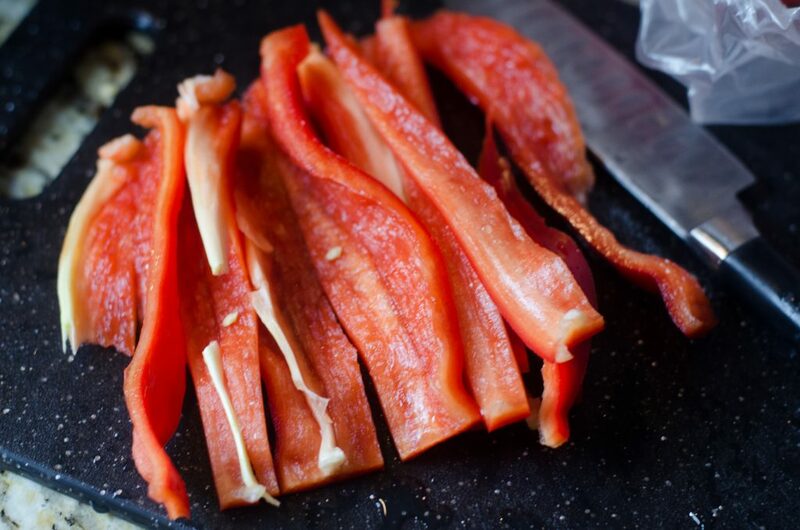 (If you don't want to do a quick release pressure cook for 10 minutes, you can decide to do the pressure release naturally and then do a quick release) Drain most of the juice to make the fajitas a bit thicker. It will give quite a bit of juice. Then sprinkle with the other half of the spices. 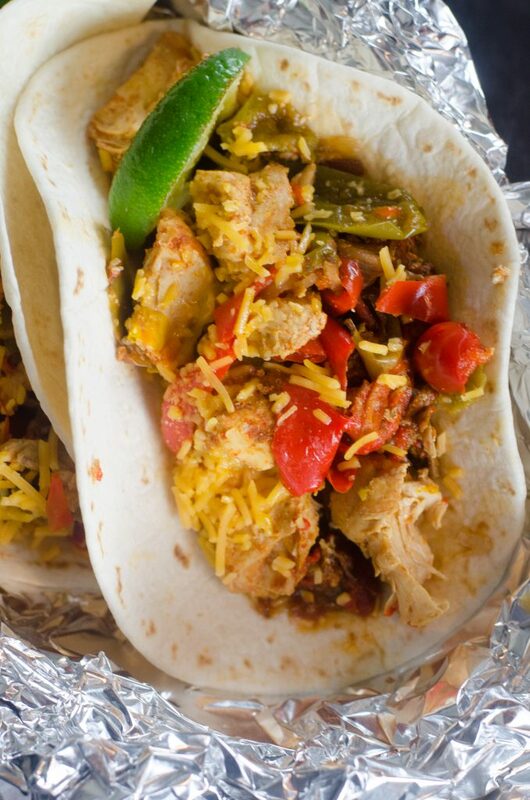 Plate your chicken fajitas onto tortillas and top with cheese, onion, and a squeeze the lime over top.